We are getting a lot of enquiries this month from potential customers. However the take up is quite low. This is an unusual trend, as we normally convert around a quarter of enquiries into orders. A lot of them are generated from a company called Salesfeed employed by our franchisor. We will need to analyse the data and see what's going wrong - well maybe next year! In the meantime have a Merry Christmas and a Good New Year! 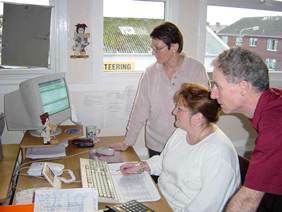 The SelClene franchise has been successfully operating throughout the UK since 1987. Sometimes copied but never equalled, SelClene cleans over 12,000 homes every week. SelClene Glasgow South has been owned and operated by Ian Robertson since 1989 and covers the south of Glasgow and the whole of Ayrshire. We also cover north of Edinburgh and West Lothian. Oh, by the way, Gisela and Angela are sisters, so it really is a family firm! As a Selclene client you will be hearing a lot from them, as they like to keep in touch with all of their clients on a regular basis to make sure everything is going well, and that you're getting the best possible service. So if you have any questions don't hestitate to give them a call on 0800 092 0728. Angela has particular responsibility for recruiting cleaners. She is always on the lookout for innovative ways to attract the best and most reliable cleaners to ensure SelClene provides a great level of service for you, the client. She also has the job of checking the references to make sure our cleaners are vouched for by previous employers or individuals of standing to confirm honesty and reliability. The part of the job she loves the most is matching our clients with their perfect cleaner. 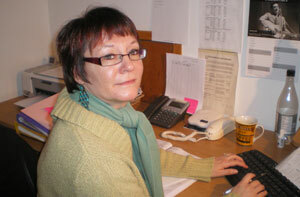 Gisela is the Office Manager, responsible for the smooth running of the office. She has been in post for over 10 years. 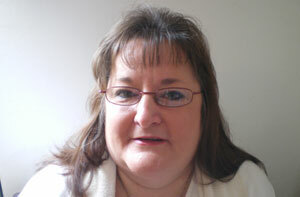 Gisela has special responsibilities for dealing with any claims for refunds and overdue accounts. She ensures that our aftersales service is excellent for you to ensure that you get the most from your cleaner. For Gisela the aspect of the job that gives her the most satisfaction is that she gets to talk to so many different people throughout the day.